Made from real chicken for an intense meaty flavor. Authentic color, taste and aroma. Time saving in preparing consistent chicken stock. Contains egg and dairy products. 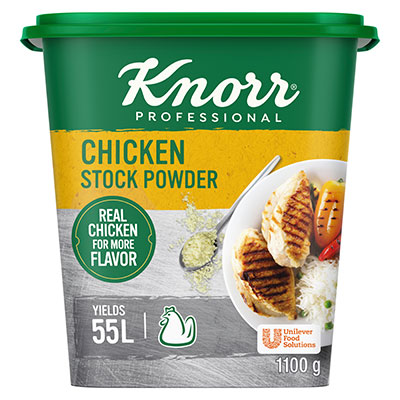 Knorr Chicken Stock Powder is a great seasoning. A top tip is to make a brine from your chicken with our stock, keeping your chicken succulent whilst cooking.